When business or pleasure calls you to go on the road, do it with confidence in an RC Trailer. RC Trailers is a premier manufacturer of cargo and aluminum trailers. Crafted with care and available with custom options, RC Trailers is committed to building the right trailer to meet your needs. At M&G trailers in Ramsey, Minn., find the right RC Trailer for your snowmobile, car hauling needs, cargo and concession business. RC Trailers works side by side with trusted dealers like M&G to design trailers to specific customer needs, offering an unmatched set of options integrated into its trailers with the highest level of craftsmanship. From light duty to heavy hauling, steel or aluminum structure, from landscaping to gaming centers and snowmobile hauling to food truck, RC Trailers manufacturers a trailer to meet your needs. Open trailers range from small utilities to value-packed open haulers for cars, motorcycles, quads and ATVS. The vast RC Trailers open utility line includes the smooth loader, an aluminum tilt-bed trailer available in lengths from 18 to 24-feet, with or without electric tilt; the light-weight ART-OU series for general hauling, the ART OT open tilt trailers, perfect for small tractors and mowers; and the ART OUL a durable entry level landscaping trailer with enclosed sides. When it comes to fun, consider the ART-OB1 and ART-OB2 open aluminum motorcycle trailers that are a convenient and economical way to haul your bike behind your vehicle. For extra wide loads consider the ARCHDO with a deck over design and tandem axles to help carry big loads. When it comes to play, look to RC Trailers for the best in safe, secure transportation. Snowmobilers in a hurry to get to the fun will appreciate the fast in-fast out design of the RSVT, with ramp doors in the front and rear of the trailer. The RSVT comes standard with eight heavy-duty D-rings for securing your snowmobile or ATV. 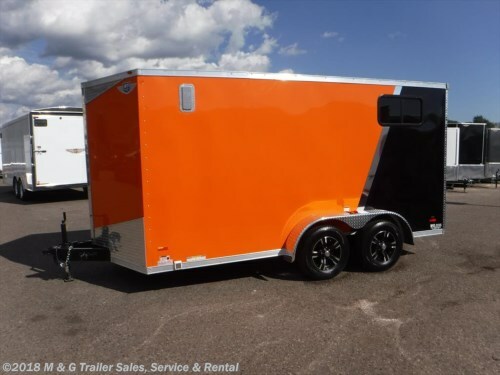 The RSCT Combo trailer is designed to haul a wide variety of sporting gear; stock cars to go-karts can all be hauled in a properly configured combo trailer. From basic to fully outfitted, RC Trailers offers a vast line of enclosed cargo trailers with aluminum or steel construction. For an entry level aluminum trailer look to one of the six models offered by RC Trailers, each loaded with standard features and great value. 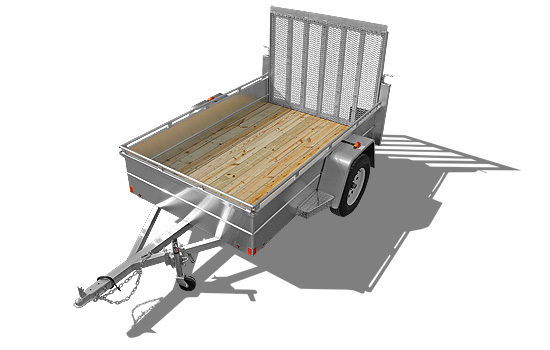 For rugged, hardworking trailers look to RC Trailers’ line of solid steel framed trailers. The steel enclosed trailers are designed for professionals and homeowners looking for a trailer to last, and with many options, these trailers can be customized to meet your unique needs. The RWT Series is an attractive flat top, wedge nose light-duty trailer that provides great value and utility for the homeowner. For a workhorse trailer the RST and RTT series are “general purpose” trailers designed for contractors, construction and the do-it-yourself homeowner with an ambitious to-do list. For a tough-as-nails canvas to create your dream trailer, consider the RTB line from RC Trailers. The “Truck Body” series provides an excellent foundation to build your custom concession or gaming trailer on. RC Trailers brings years of experience in customizing trailers to your concession, gaming or special use trailer. RC Trailers is a trusted manufacturer of custom trailers for government agencies, corporations and individuals. Among special projects tackled by RC Trailers are cable splicing trailers for utility companies as well as custom show trailers for Chrysler and GM. RC Trailers, Inc. manufactures its vast line of cargo, steel, and aluminum trailers from its headquarters in Middlebury, Indiana. No matter what kind of trailer you’re looking for M&G Trailer Sales and Service has the RC Trailer to help you achieve your goal.